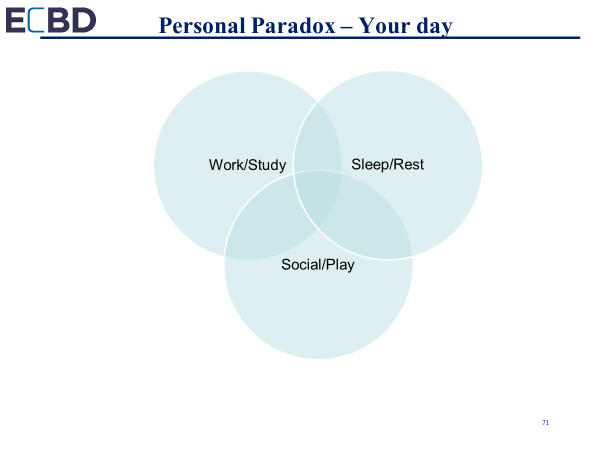 Working more does not necessarily result in better work, and developing a work life balance presents a major challenge. There are numerous studies that show that overwork and the negative effects of stress have a profound effect on your health and performance. In a perfect world, you would spend eight hours sleeping, eight hours working or going school, and eight hours for leisure. Few people I know work eight hours a day or less. This creates an immediate imbalance, as sleep and or play will be sacrificed the moment you work more than eight hours a day. There are cultural dynamics that have created and escalated this problem. You are always plugged-in. It is rare that you leave your phones behind. Last Thursday, I was preparing to meet some friends for an annual Thanksgiving get-together at our local watering hole. It is a 23-year-old tradition that that I have participated in that precedes the 10AM high school football rivalry between the Ipswich Tigers and the Hamilton-Wenham Generals. As I stood waiting for my ride, a car with four people pulled up to the home across the street. I watched as all of them got out of the car clutching cell phones. Why do we do this? Will the world end if we leave the phone in the car? That morning as I stood in the pub, I could not help to notice the number of people holding a phone or placing their phone in plain sight. I left my phone in the car. At the game, not much was different. A very large majority held a cell phone, placed their phones on the seat next to them or had a phone in their back pocket during the game. Cell phones had nearly the same number of seat in the stadium as spectators. Why does this happen? Why do a few thousand people at a football game at 10AM on a Thanksgiving Holiday need to have a cell phone? You have a demanding job. The requirements of lives and jobs force us to spend countless hours commuting, eight plus hours a day doing work/school related activities, and striving to keep up with the demands of a home, family, pets, and so on. Now that I have stated the obvious, the question is what do we do about the imbalance that affects our health, happiness, and performance? Data shows that people that study a problem to, resolve it are more successful than people who visualize what the future will look like if they did not have the problem. I believe the bigger challenge is that most people do not recognize the real problem. By dissecting your day/week, you will identify opportunities to begin to correct the problem. We are best served by starting the process of change by analyzing the current situation. The following outline sound simple, but it will help you address the imbalance. Let’s start with a quick diagram of you day. How do you spend your time? After placing the hours you spend each day in each category, list the activates you undertake in each circle. Take time to build a thorough list. The more detailed, the better. In each circle, indicate how much time you are plugged in (computer and/or phone on and active). If you sleep with a phone next to your bed, count the time. Now think about changes you can make to create more balance. I strongly suggest finding time to separate from your phone. On weekends I leave the phone in the kitchen. I often spend time at the gym, in the yard, or run errands without my cell phone. It is nice to spend a few hours with no buzz or ring to disrupt the flow of simple activities like a bike ride or a stroll in the woods with my wife Stephenie and our dog Bene. Get the phone out of the bed room. If you need an alarm by a clock, go buy one. Many people cannot help themselves. They will check their phones at all hours of the night to see what they missed. This is not good for sleep. Schedule time for you. Find time to take a walk. Find a few minutes a day to think. Elevate the importance of sleep and fun in your life. Put these activities on your calendar. Small changes will have a big effect. Find time by doing the analysis. Make a few changes, lose the phone in the evenings, when you are in bed, and during the weekend. Get to bed a little earlier. Take a nap on the weekends. Go for a walk at lunch. Change your commute schedule a few days a week to lesson time in the car. There are hundreds of little things you can do to create more balance. Record your week on your calendar and re-do your circles. Repeat the process until you find you have more balance. Repeat the process until you feel like you have more energy, less stress and a better more enjoyable life. Make the changes a habit. It all sounds simple, but it does work. I know, I did it and I am enjoying better health, better mind set and a happier more complete life.